PokerStars Live Manila is currently underway with its last major festival of the calendar year, the Manila Megastack 6. This is the sixth installment of the series running from Tuesday, November 29th until Sunday, December 4th at City of Dreams Manila, Philippines. Since its inception last year, the Manila Megastack has become one of the most highly attended events in the country with players from all over the world represented. The six-day festival offers a PHP6,000,000 (US$120,931) Guaranteed Main Event and thirteen side events. The past five days saw the festival booming with activity. Setting the tone was Event 1: Kickoff (P2M Guarantee) seeing a massive turnout of 489 entries. This easily doubled up the guarantee to a total of PHP4,174,104 (US$84,128). Taking the biggest slice of the pie was Switzerland’s Alain Walder earning PHP795,000 (US$16,023) for his victory. Walder overcame some of the toughest players in the scene such as John Tech, Jae Wook Shin, Florencio Campomanes, and Azusa Maeda, all of who saw a profit. This is Walder’s biggest live score to date. While players from home soil have yet to claim a trophy, the next two side events were owned by the Singaporeans with Mohamad Zefirelli Noordin winning Event 2: P5,000 NLH Freezeout for a PHP110,980 (US$2,236) payout, and Paul Hsien Wee a hefty PHP326,792 (US$6,586) for claiming Event 3: P10,000 Knockout. The Malaysians also captured a couple of early trophies. Ben Soon Yun Loo defeated Norway’s Kai Paulsen at the heads up round of Event 4: P5,000 Pot Limit Omaha to earn the PHP82,700 cash prize (US$1,666), and in Event 7: P3,000 Freezeout, Ming Ken Thoo denied Japan’s Kosuke Bando the title. Thoo was awarded PHP100,238 (US$2,020). However, at Event 6: P5,000 Knockout, Malaysian player Eng Soon Tan tried but could not get past Taiwan’s Ting Yen Wu at heads up, and Wu won the PHP155,500 (US$3,134). Joining the countries with two trophies was Japan with both winners bagging the largest cash prizes of the festival so far. 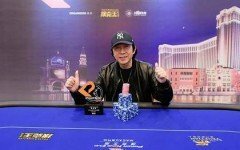 Tomofumi Watanabe earned PHP1,011,000 (US$20,376) at Event 5: P50,000 NLH Freezeout. 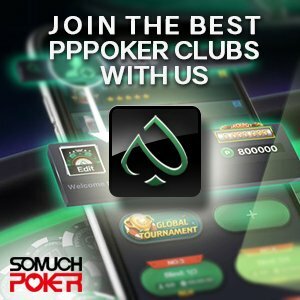 This event had a P2M Guarantee that was surpassed with 85 players in the field. Then at Event 8: Single Day High Roller with a buy-in of P100,000, there were 48 players for a pot of over P4M. Yuichi Sumida bested a tough field of Asian pros to secure the PHP1,320,000 (US$26,604) purse. There is still lots of poker action taking place this weekend with five side events remaining and of course the highlight tournament, the P6M Guaranteed Main Event. We will have a short recap on those events and live updates on the Main Event action coming your way tomorrow.